Not as glamorous an aircraft as its pure fighter stablemates, but a hard worker nonetheless. This represents a ‘plane serving in Italy sometime in 1943-44. Worn, faded & dirty. 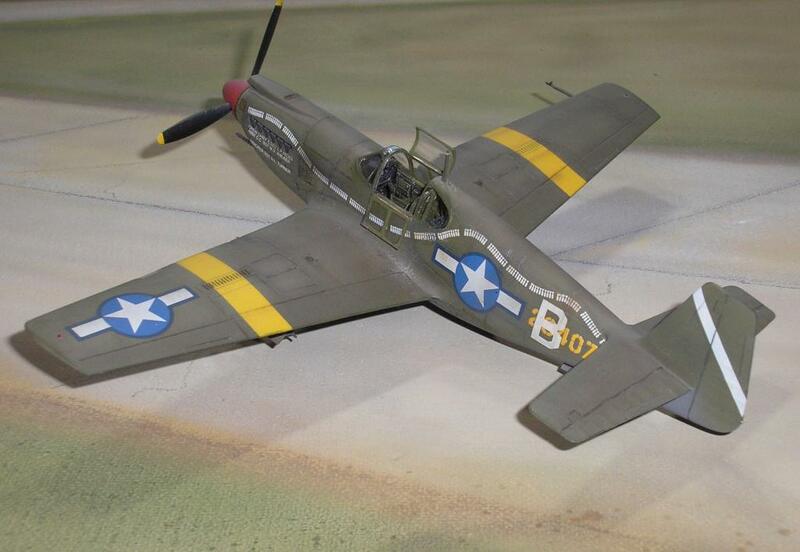 I built this kit quite some time ago & it still stands up well against more recent Mustangs. The only non OOB items used were seatbelts & the windscreen which was of varying thickness & produced a fair bit of distortion. I had a spare Tamiya windscreen, which just dropped into place without any fettling at all. The moulding was a lot sharper too. The prop received a lot of sanding & some reshaping as well as it was very thick. 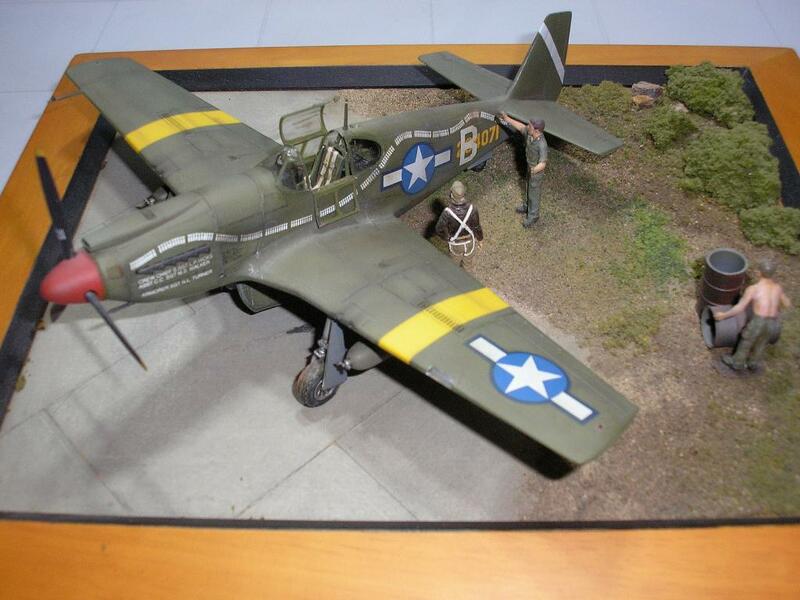 In my opinion, at the time Accurate Miniatures brought this kit out it was one of the top offerings on the market. It’s still worth building too! Tony…….Nice work. I like the base and the weathering. That is a scheme I have wanted to do as well. 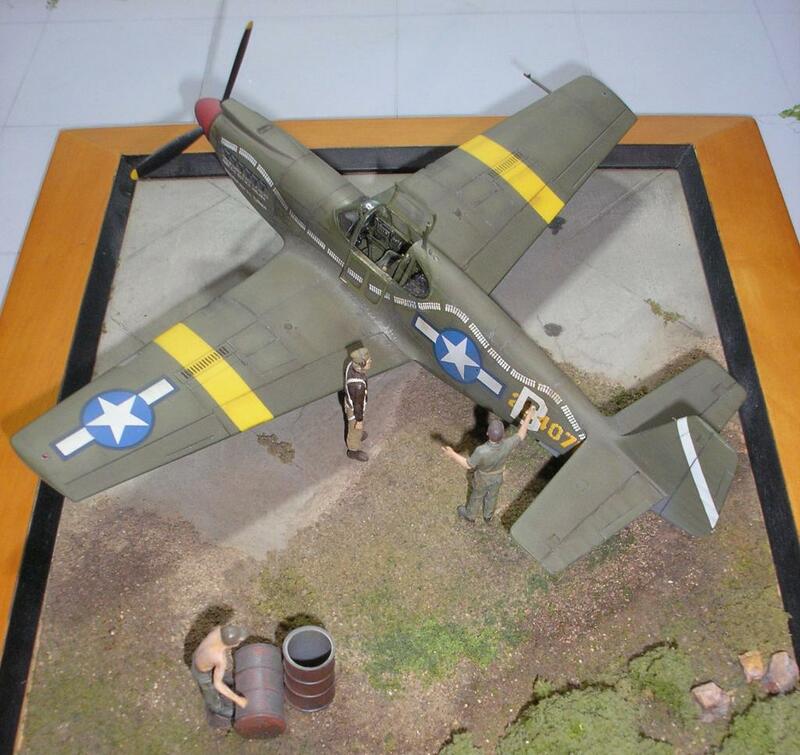 Accurate Miniatures produced some very nice kits and I hope they will come back with more new offering someday. 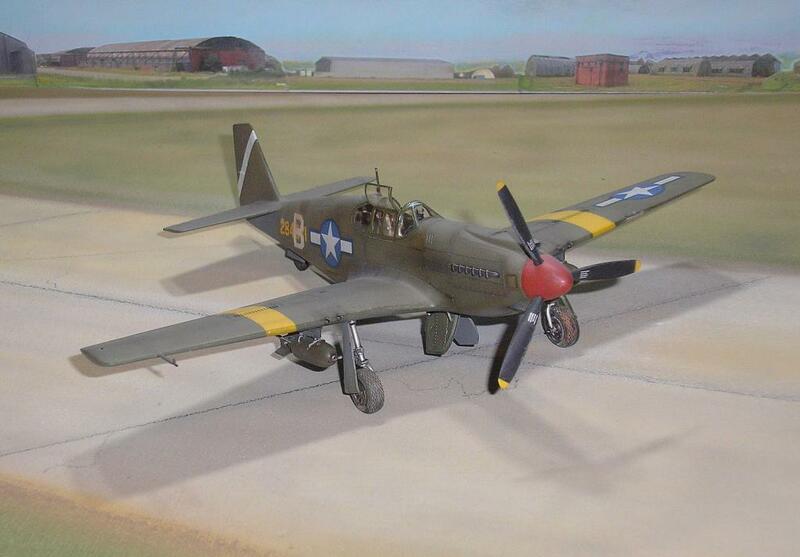 I have this kit, unbuilt of course. Hopefully your attractive presentation will motivate me to add this to my “after retirement” build list. Very good, Tony…and the photography is nicely executed as well. Very nice work – you’re right this kit is still nice. 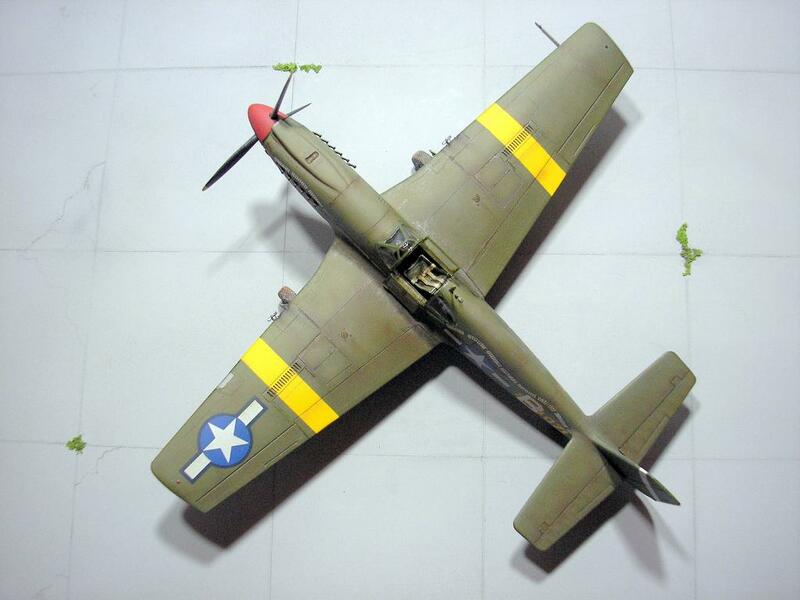 Be careful, though, picking up the last Accurate Miniatures release as a photo-recon F-6A: they managed to get the wrong nose parts into that kit and there is no way to fix it – early nose and late airframe. 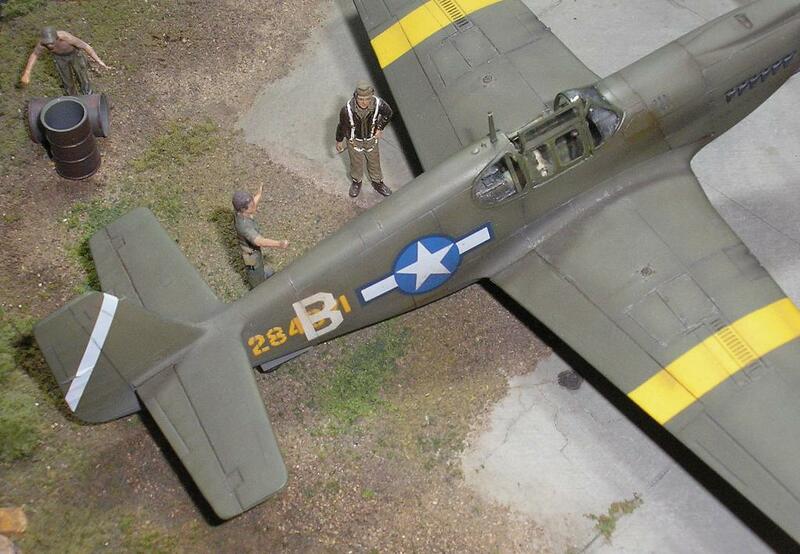 Tom Friedkin’s A-36A now flies in these markings. Tony, Great job overall. Just the right amount of weathering and a cool looking base. 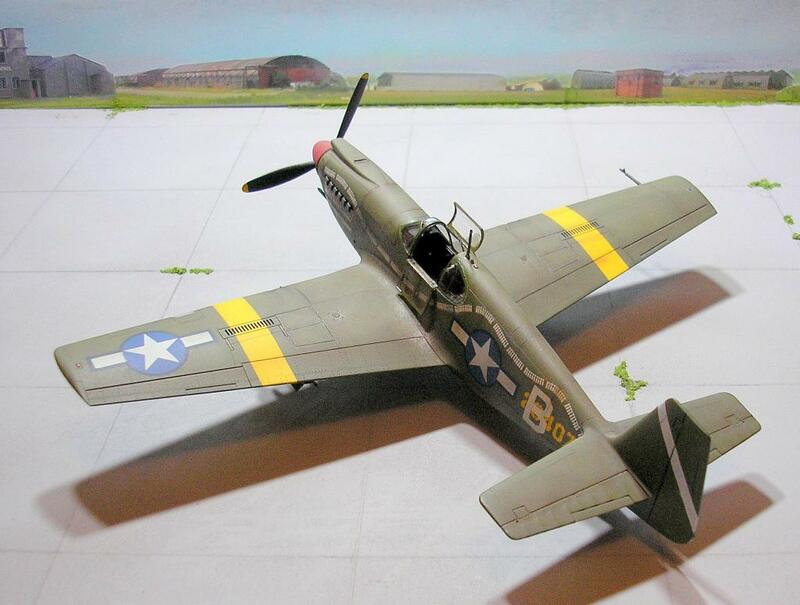 Do you know how to tell when to use the Curtis paddle bladed props (like you used) Vs the thinner blades seen sometimes on early Mustangs? Wow, you’re never too old to learn something new. I’ve never heard of this aircraft before (hey, I’m a boat builder) so I had to Google it and the A36 had an interesting combat history. 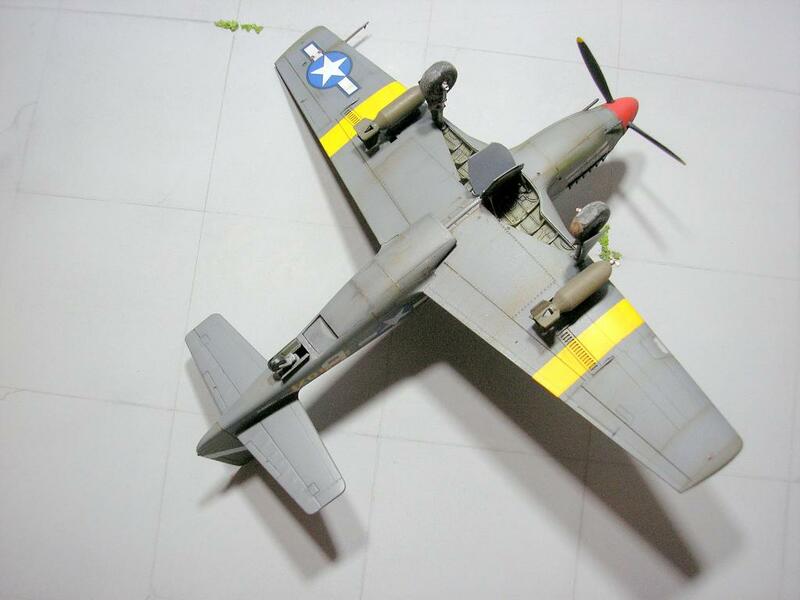 I knew the Mustang had some different “mods” but not as a dive bomber. 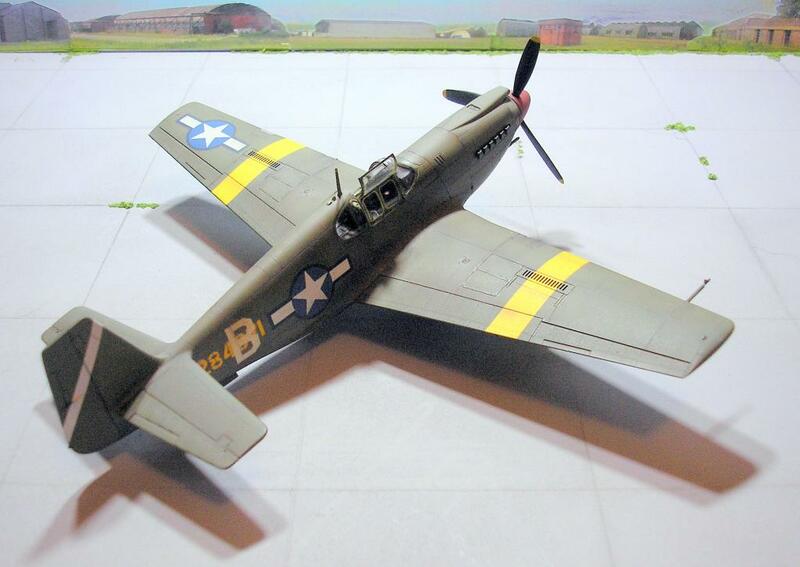 Great job Tony on a little known (and little produced) plane, love those obscure builds! Very nice. I found it a fun build as well. Thanks for the kind words everyone. The Mediterranean Theatre really lends itself to faded weathering & grubby paint jobs which I think are the best parts of modelling. 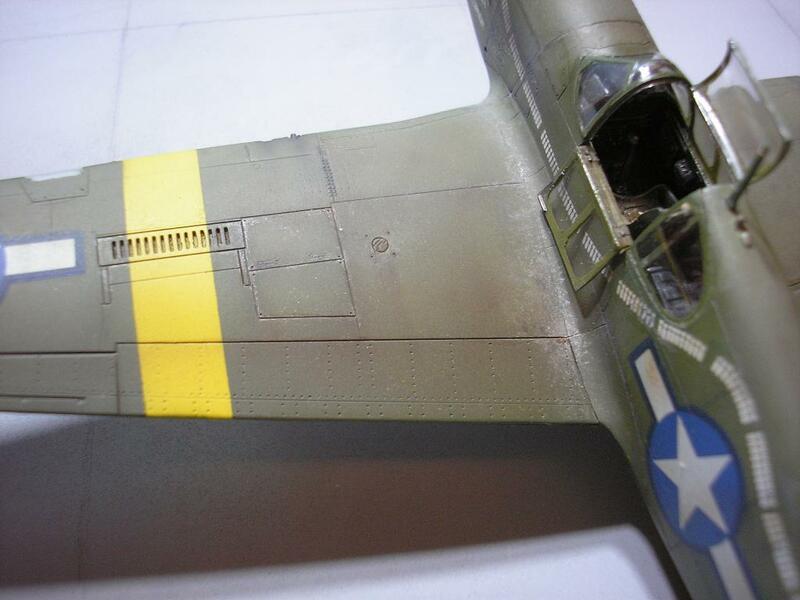 Very nice finish, Tony, and the base really helps to make the model more interesting.